Will ________ work on my iPad? 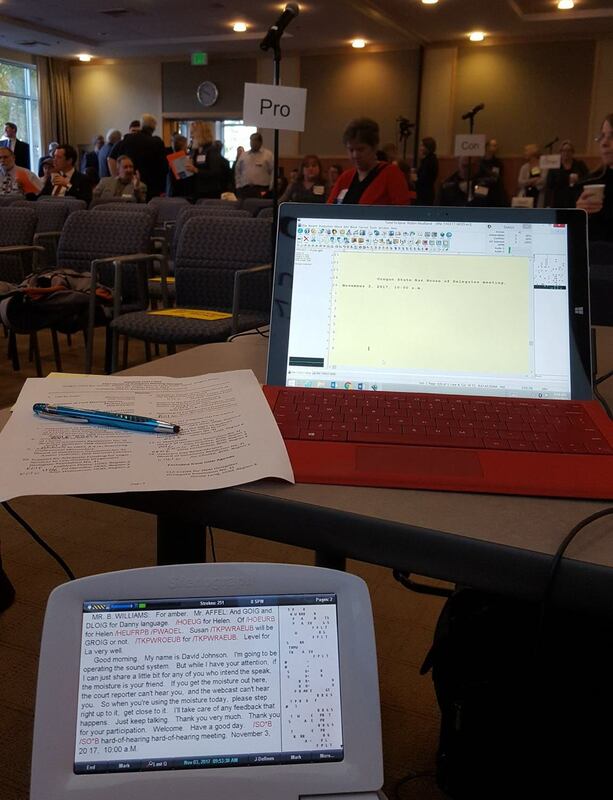 Given the correct apps (see downloads), all of our programs do work on iPads, including PDF transcripts, streaming Web depositions, realtime transcript feeds, Online Client Center, and VideoSYNC/LYNC. Do you know of any reporters in Anytown, U.S.A.? Absolutely! LNS is a member of Table 8 Litigation Solutions, an exclusive network of independently owned court reporting firms across the United States, Europe, and Asia. Videography, conference rooms, translators, process servers--just let us know what you need, and we will make all the bookings for you. What litigation support software programs are compatible with your transcript-video synchronized files? All of them! You can export synchronized video depositions with linked exhibits to all major programs, such as TrialDirector, LiveNote®, Summation®, and more. In addition, the video clips you can make directly from the free viewing software are exportable to PowerPoint. Because every deposition has different requirements, asking about the cost of court reporting is a lot like asking about the cost of a bag of groceries: there’s no one-size-fits-all answer! Our rates are competitive, and we produce our transcripts at NCRA’s recommended 56-58 characters per line, which translates to value to you. How fast can I get my transcript? Our typical turnaround is seven to ten business days, although our reporters often complete the transcripts before that. If you need your transcript sooner than that, our reporters are happy to expedite on request. Electronic transcripts with scanned, searchable linked exhibits are sent as soon as the transcript has been completed.